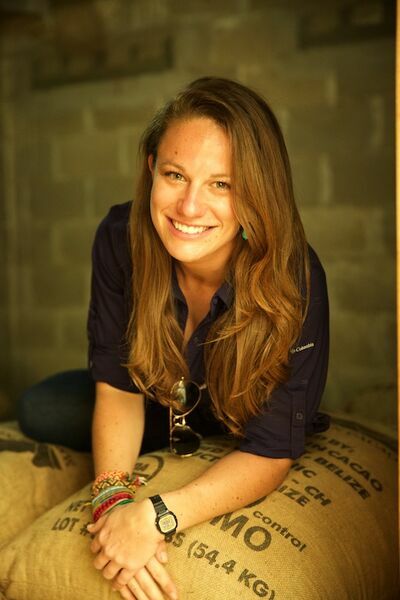 Episode description: Emily Stone is the new kind of intermediary in the cocoa supply chain. She's positioned herself as a leader and innovator in the space by linking the craft / premium chocolate industry with an ever-growing portfolio of smallholder farmer partners in 6 Latin American and Caribbean countries, including indigenous communities in Belize and Guatemala. She's navigated organic certification models, antiquated commodity structures, and built a team of empowered changemakers, all of this in favor of direct relationships, sustainable agroforestry landscapes, and centralized fermentation for high-quality fine flavor cacao. Eight years after co-founding Maya Mountain Cacao in 2010 (of which Uncommon Cocoa Group is the umbrella), Uncommon Cacao now connects more than 4,000+ direct relationships at origin with 150 chocolate companies across the world who import their certified organic dried cocoa beans to make single origin chocolates and confections. Studying sociology and Arabic at Georgetown University, she speaks Spanish and Q'eqchi Maya, and maintains economic justice, impact and transparency as canons of her work and life. She's appeared in Forbes, Huffington Post, and is a 2017 Fine Chocolate Industry Association (FCIA) 'Recognition of Excellence' winner for Outstanding Contribution at Origin in Sustainability of Fine Chocolate.